After driving through the winter with the heater on full blast and keeping the windows down during the spring, it’s likely you haven’t turned on your car’s air conditioner in quite some time. However, you should still have the system checked before temperatures start to climb. Buffalo Collision Repair, an auto maintenance service in Wright County, MN, shares a few crucial reasons to have your vehicle’s AC professionally inspected before the summer heat arrives. Why Should You Check Your Vehicle’s AC Before the Summer? The primary reason you want to have your AC serviced early on is to keep your interior cool throughout the summer. While it might produce cool air, there are many minor issues that could prevent it from reaching optimal performance. For example, many motorists find that their AC system’s refrigerant needs to be recharged to properly cool incoming airflow. In addition to keeping your car at comfortable temperatures, investing in auto maintenance service for your AC can help you breathe easier. If you haven’t had your system’s filter replaced in a while, you and your passengers might be inhaling dust and debris. Although the AC system is designed to produce cool air, it could end up causing your car to overheat if it’s not in good shape. For example, if the AC compressor is failing, it might overwork and place extra heat on the engine. In other cases, a faulty condenser unit could end up producing excess heat that is displaced to the engine. With early inspection, an auto mechanic can spot and fix these problems to keep the engine at a proper temperature. Avoiding the inspection, however, could eventually cause the engine to overheat to the point where your car is no longer safe to drive. Even if you are comfortable without turning the air on during the summer, having the system checked could prevent minor issues from turning into larger problems. For example, small hose blockages, broken belts, or refrigerant leaks all start small and are usually identified early on by suboptimal climate control. However, the longer these issues are ignored, the more difficult—and costly—it will be to repair them. Rather than facing a costly AC overhaul in the middle of the summer, invest in an inspection now. If you haven’t had your car’s air conditioning system inspected yet, visit the professionals at Buffalo Collision Repair. 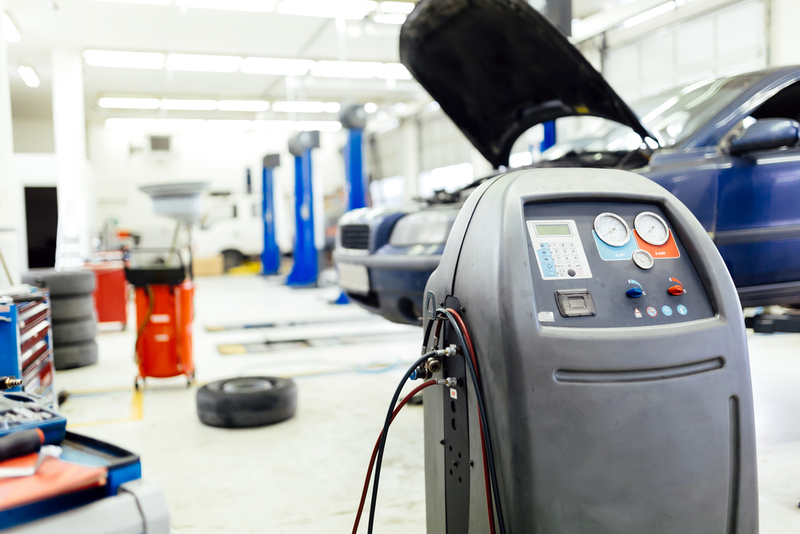 Providing exceptional collision repair in Buffalo for over four decades, this shop also offers affordable auto maintenance services—including AC inspections and tuneups. In addition to high-quality service, this shop will also set you up with a free courtesy car if your vehicle needs repairs. Visit this team online to learn more about their abilities, or call (763) 682-3135 to request a free repair estimate.